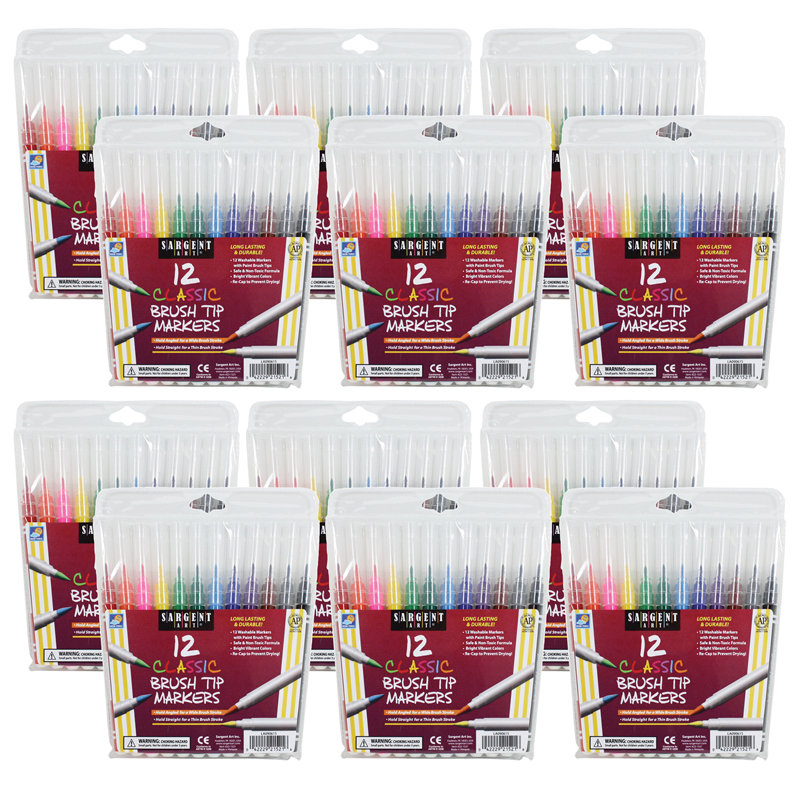 The (12 Pk) Sargent Art 12 Per Pkclassic Brush Tip Markers can be found in our Markers product category within the Arts & Crafts. 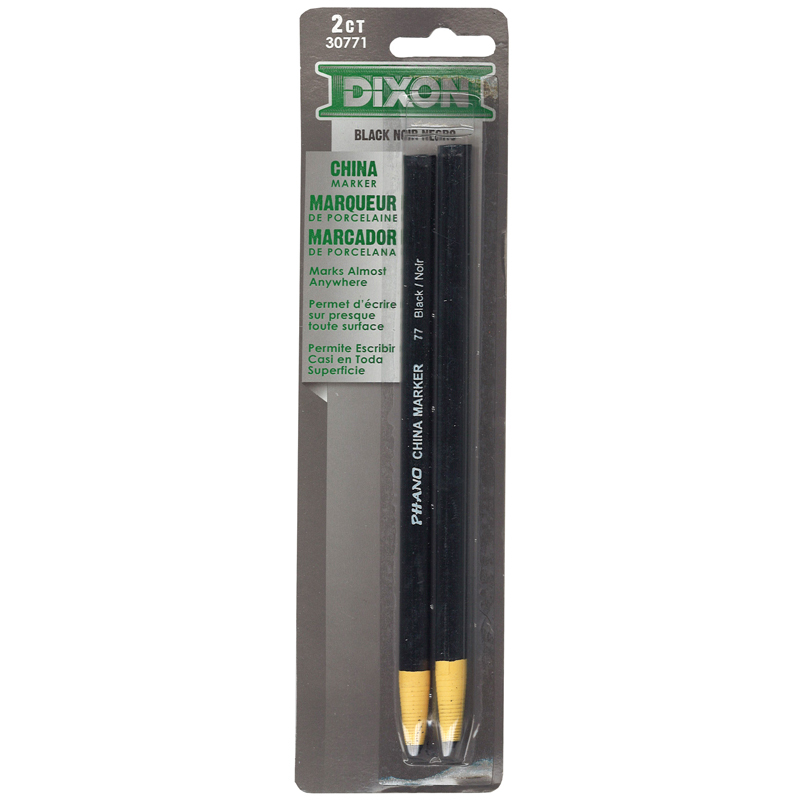 Classic Markers with flexible brush tips. Great for fluid illustrations and writing. Peggable plastic pouch. Non-Toxic and conforms to ASTM D 4236. 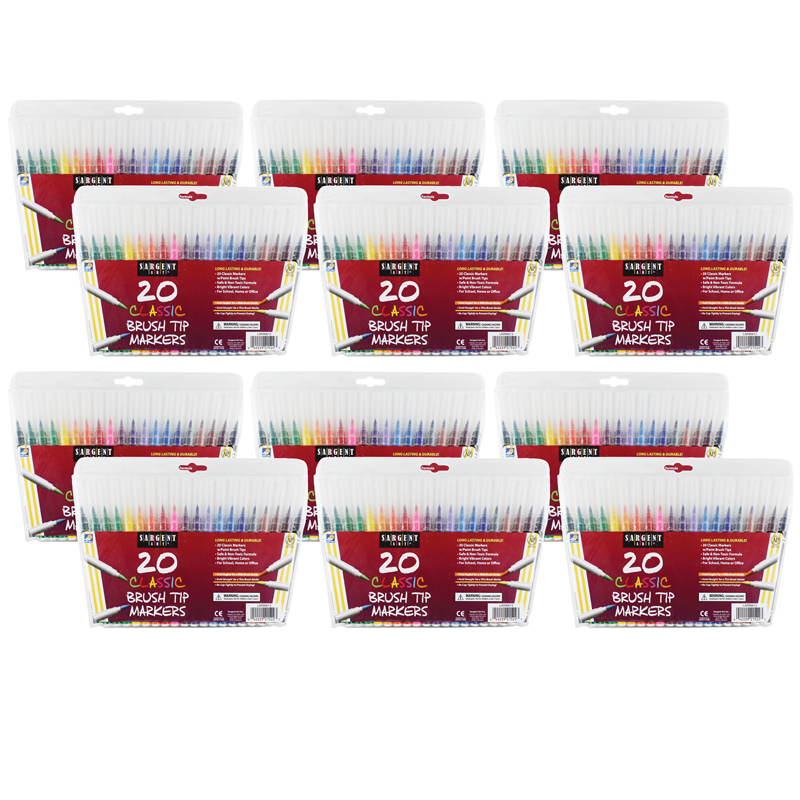 Each pack includes 20 markers. Sold as 12 packs for a total of 240 markers.